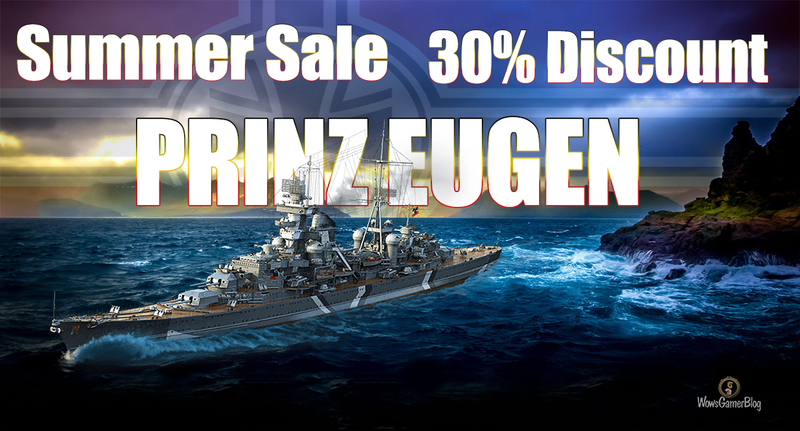 Tier VIII cruiser Prinz Eugen is the right choice for admirers of the German Navy. One of Germany's most famous heavy cruisers, this ship will become a formidable weapon in capable hands due to the excellent performance of the AP rounds she carries. In addition, Prinz Eugen will let you respec and train your German Commanders much faster. Eight 203 mm guns with a good shell muzzle velocity, range, and rate of fire. Like Admiral Hipper, Prinz Eugen boasts increased damage for AP shells, but has a reduced chance of setting a target on fire with HE rounds. Strong AA defenses. Good enough to counter same-tier aircraft carriers. Six torpedoes per side with a range of 6 km, a solid argument to bully her way out of close-range encounters. A valuable set of consumables: Hydroacoustic Search with its improved active time and range, and Repair Party. A unique camouflage that provides a 50% bonus to the ship's XP and Commander XP earned per battle. If you already have this ship in your Port, you will receive 11000 7700 Doubloons as compensation.